First, Dayton has several big shows to talk about. This week I’m seeing BULLETS OVER BROADWAY at the Schuster Center. This Woody Allen musical got rave reviews on Broadway and is part of the Premier Health Broadway series. It plays November 3 – 8. Tickets can be found here. Tickets can also be found at that link for EVIL DEAD: THE MUSICAL at the Victoria Theatre this weekend only. I’m most excited about STEEL MAGNOLIAS at Human Race Theatre, though. This popular stage play should be a big hit for Dayton’s equity house and I am taking my mother to see it on Sunday afternoon. More information can be found here. The show runs through November 29th; don’t wait to buy your tickets. THE MYSTERY PLAYS at Falcon Theatre opens this Friday. 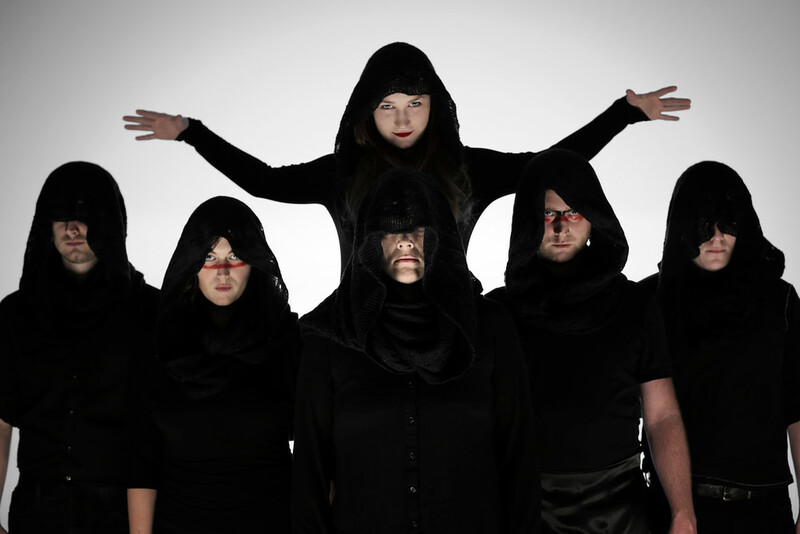 This eerie play features an all-star cast including Jared Earland, Leah Strasser, Becca Howell, Adam Jones, Simon Powell, and Nicole Jeannine Smith. Lindsay Augusta Mercer directs. Tickets are available here. RELATIVELY SPEAKING is the latest from Diogenes Theatre Company in the Aronoff’s 5/3 Theatre. So far their work has been outstanding and I expect them to handle this British comedy with the same professional excellence. The cast features Patrick Phillips (fresh off of his outstanding role in LUNA GALE), Robert Pavlovich, Abby Rowold, and Ballie Breaux. More information can be found here. Coming up next at the Playhouse in the Thompson Shelterhouse is LOW DOWN DIRTY BLUES. This blues review could be a musical highlight of the season. Tickets and more info can be found here. 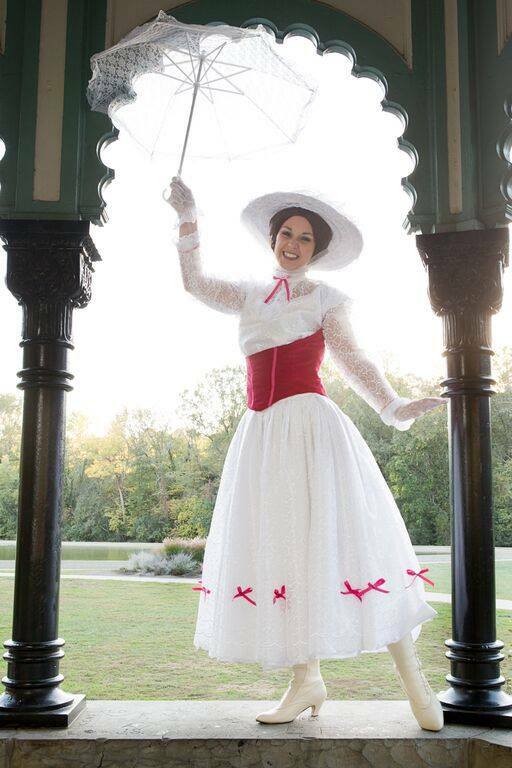 MARY POPPINS at the Covedale is notable as Alyssa Hostetler, a Wright State graduate, is back in the Queen City to star as the lead. She was outstanding in 42nd Street a few years back at WSU and I look forward to seeing her as the world’s most popular nanny. Tickets and info are here. Finally, WHITE CHRISTMAS at the Aronoff will feature local treasure Pamela Myers. This traditional re-telling of the Irving Berlin movie is a popular holiday treat. Tickets and info can be found here. THE INTERVENTION CYCLE by upstart Good People Theatre Company, SLEUTH at The Carnegie, AS YOU LIKE IT at Cincy Shakes, FOOTLOOSE by Dare2Defy in Dayton, SUESSICAL at NKU, and the already open ANDY’S HOUSE OF [BLANK] at Know Theatre of Cincinnati, DEATH OF A SALESMAN at Cincinnati Shakespeare Company, and CHICAGO at Wright State University. Information about all of these shows and more can be found at Rob Bucher’s wonderful BEHIND THE CURTAIN CINCINNATI. With all these great options this month . . .what are you gonna see?